Originally, the Bay had around 200,000 acres of marsh land. Salt harvesting and urban development, though, decimated the wetlands throughout the 19th and 20th Centuries, until restoration efforts began in the 1990s. A 1999 study called for the region to rebuild 100,000 acres of healthy wetlands — an attainable goal, since much of the former marshland is actually already under public ownership. Measure AA will raise $500 million over 20 years, providing a third of the total $1.5 billion needed to reach the restoration goal. But even with the help of an assortment of other grants, the project is currently less than 30 percent funded. Proposed cuts to federal environmental funding will also place a higher burden on state and local government to finance the wetlands restoration before sea level rise rates are projected to begin accelerating around 2030. That Measure AA money hasn’t been used yet. 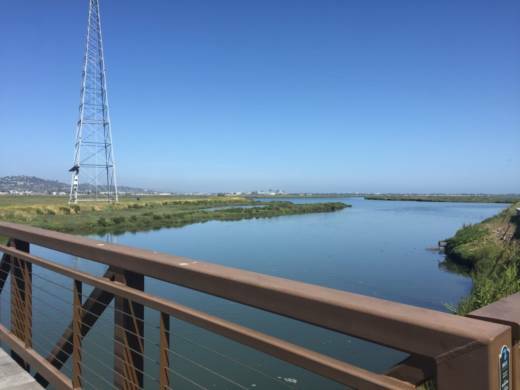 The first year of tax collection ends this month and the regional San Francisco Bay Restoration Authority will review project proposals from various environmental organizations this fall, with the initial round of funds distributed to chosen projects in early 2018. The slow influx of funds from Measure AA is better than nothing, say officials, but additional funding is needed if adequate restoration is to occur before the 2030 deadline. If natural wetlands are not rebuilt, Bay Area cities may ultimately need to construct more expensive seawalls or flood control levees to protect millions of residents from sea level rise. A recent state-commissioned report found that the San Francisco Bay could rise between 2.4 and 3.4 feet by the year 2100.